At Camp Kupugani, we consider ourselves partners with our camper families in helping empower children to become the best version of themselves. Here are some useful resources. Below are some books you can read to get another perspective or read with your children to help reinforce the Kupugani Method. To raise empowered children, they need to be free to make mistakes. This book informs much of what we do at Kupugani. Our behavior(s) should reflect true desires, not fear of arbitrarily-imposed external consequences. A healthy parent-child relationship leads to that child feeling supported and empowered to make mistakes and step outside of their comfort zones. Crucial reading to understand how the children, teens, and young adults born in the mid-1990s and later are vastly different from their Millennial predecessors, and from any other generation. Check out this link for a blog we did emphasizing some takeaways from the book. Healthy conflict serves as a chance to better grow, connect, and understand feelings. Essential reading for anyone who wants to understand racism in the United States. In shedding much-needed light on the murky history of racist ideas, this book offers tools we need to expose them—and in the process, gives us reason to hope. This rare and beautiful book constitutes a magnificent outlet for children to explain their feelings, and appeals to humans at all points of the age spectrum. Born with a facial deformity that initially prevented his attendance at public school, Auggie Pullman enters the fifth grade and struggles with the dynamics of being both new and different in this tale about acceptance, self-esteem and the transformative power of human kindness. Adolescent pain and awkwardness, plus meditations on the systemic devastation wreaked on Native American communities informs this humorous, semi-autobiographical novel following a 14-year-old leaving his school on the reservation for a mostly white school in a nearby town. This visually stunning, completely compelling book underscores the power of helping others, as it follows 12-year-old Ben — having lost his mother and his hearing — leaving home to seek the father he never knew in New York City, where he meets Rose, who is also longing for something missing from her life. This book follows young Esperanza, growing up in a Hispanic section of Chicago, as she tries to empower herself by rising above her challenging circumstances. Below are a variety of blog sites connecting to our philosophy of helping children be their best, show their best, and do their best. Our blog helps empower our camp community of children and adults to be the best, including posts with useful parental and personal advice, and challenging posts regarding social justice. Given that pursuit of social justice is an important camp tenet, this site has timely topics. A social justice platform from the perspective of an African- American boy who speaks about respect, honesty, and being a good citizen. A positive online community for women covering the latest in beauty, fashion, lifestyle, female empowerment, culture, relationships, friendship, careers, and issues that matter most to young women’s lives. Posts on intersectional feminist issues–from campus sexual violence to transgender rights to reproductive justice. 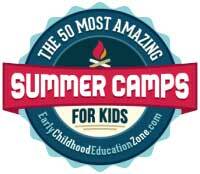 Below are some videos showing how good camp is for child development. In this section, you will find Ted Talks that reminds us of the philosophies that Camp Kupugani seeks to provide for our community. With warmth and wit, Halla Tómasdóttir shares how she overcame media bias, changed the tone of the political debate and surprised her entire nation when she ran for president of Iceland — inspiring the next generation of leaders along the way. In 1988, Matt Goldman co-founded Blue Man Group, an off-Broadway production that became a sensation known for its humor, blue body paint and wild stunts. The show works on the premise that certain conditions can create “aha moments” — moments of surprise, learning and exuberance — frequent and intentional rather than random and occasional. Now Goldman is working to apply the lessons learned from Blue Man Group to education, creating Blue School, a school that balances academic mastery, creative thinking and self and social intelligence. “We need to cultivate safe and conducive conditions for new and innovative ideas to evolve and thrive,” Goldman says. When children are given the ability to ask for help in easy things it makes it more palatable for them to do the same when the situation is difficult. Empower your child to ask for help! Heather Lanier’s daughter Fiona has a genetic condition that results in developmental delays — but that doesn’t make her tragic, angelic or any of the other stereotypes about kids like her. In this talk about the beautiful, complicated, joyful and hard journey of raising a rare girl, Lanier questions our assumptions about what makes a life “good” or “bad,” challenging us to stop fixating on “solutions” for whatever we deem not normal, and instead to take life as it comes. For many centuries (and for many reasons), critically acclaimed creative genius has generally come from a male perspective. As theater director Jude Kelly points out in this passionately reasoned talk, that skew affects how we interpret even non-fictional women’s stories and rights. She thinks there’s a more useful, more inclusive way to look at the world, and she calls on artists — women and men — to paint, draw, write about, film and imagine a gender-equal society. In this section, you will find social media accounts that are positive, family-friendly, and empowering. A fun Pinterest board for families that are looking for creative ways to connect with one another. A Facebook account that is all about the fun side of being a family, from hilarious kids quotes to different ways to be active as a family. This Instagram account brings a bit of light and positivity online. This Instagram account shares and celebrates narratives of women of color through their art and writing. This Instagram account provides witty counterpoints to sexist rhetoric. In this section, you will find websites that are positive, family-friendly, and empowering. A website devoted to the works of Alfie Kohn who has written books titled unconditional parenting, and no grade + no homework = better learning. Connecting with your male children can be hard no matter how great of a parent you are. This is a website that can help you relate to your son through reading. A website dedicated to reviewing all things media. Movie ratings based on parent and child perspectives.